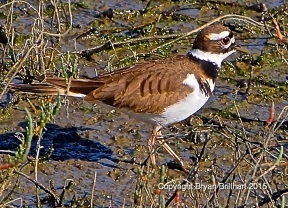 Bryan Brillhart Photography Presents Dig Imperial Beach "Bird of the Week", the "Killdeer"
Bryan Brillhart of Bryan Brillhart Photography presents us with the Dig Imperial Beach “Bird of the Week”. 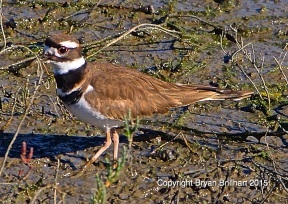 This week’s bird is the "Killdeer (Charadrius vociferus)"
The column will provide a picture of a bird(s) locally photographed and we will have background on the bird. both the forehead and the area above the bill and continuing around the back of the head. The tail is brown with a black subterminal band, a white terminal band, and white outer tail feathers. Additional defining plumage characters include a brightly colored red-orange rump that is visible during flight and displays, white wing stripes visible during flight. Appearance does not vary between males and females, although breeding females may have additional brown plumage on the head. Juveniles resemble adults with the exception of buff fringe feathers and the presence of only one neck band. 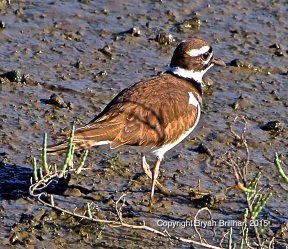 Adult killdeer range in length from 23–27 cm (9.1–10.6 in) with a wingspan averaging 17.5 cm (6.9 in). The largest ringed plover, killdeers weigh 88 g (3.1 oz) on average. The chicks are patterned almost identically to the adults, and are precocial (able to move around immediately after hatching). Habitat is on fields, airports, lawns, river banks, mudflats, and shores. They are often found on open ground, such as pastures, plowed fields, large lawns, and even at a great distance from water. The most successful nesting areas, however, have some shallow water or other good feeding area for the chicks. They are also commonly found around water, on mudflats, lake shores, and coastal estuaries. ground whenever they spot something edible. They may follow farmers plowing fields, to feed on grubs turned up by the plow. They feed on a wide variety of insects, including beetles, caterpillars, grasshoppers, fly larvae, spiders, earthworms, centipedes, crayfish, and snails. They will also eat small amounts of seeds as well. In breeding season, males fly high over nesting territory in floating, wavering flight, with slow, deep wingbeats, giving kill-dee call repeatedly. On ground, courtship displays include ritualized nest-scrape making. Nest site is on ground in an open area with good visibility, as on bare soil, short-grass field, gravel road; sometimes on gravel roofs. Nest is a shallow scrape in soil or gravel, either unlined or lined with pebbles, grass, twigs, and bits of debris. After mating, females usually lay 4, sometimes 3-5 buff, blotched with black and brown eggs. Incubation is by both parents in 24-28 days. In very hot climates, adults shade eggs in the mid-day, and may soak belly feathers to help cool eggs. Downy young leave the nest soon after hatching. Young are tended by both parents, but feed themselves. 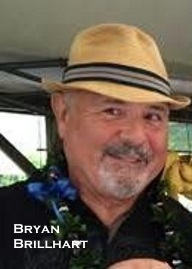 Age of young at first flight is roughly 25 days. In some warmer parts of range, Killdeers raise 2 broods per year. It is easy to spot this distinctively colored bird along the Tijuana River banks in our great Tijuana Estuary. Enjoy a walk on the many trails there and see what you can spot. Until next week, happy birding!